Clinic Synopsis: Bowing technique is a crucial foundational skill in string playing that creates good tone quality and forms the basis for musical style. In this session, methods of teaching fundamental bow strokes and bow choreography in group settings from beginning through intermediate levels will be explored. Literature utilizing the various strokes will be broken down and demonstrated in video clips of a chamber orchestra including Indiana University String Academy and Jacobs School of Music students. 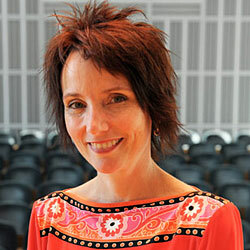 Clinician Biographical Information Brenda Brenner is associate professor of music education in the IU Jacobs School of Music. She specializes in the area of string music education, teaching applied violin and courses in violin and string pedagogy. She has taught at IU since 1993 as assistant professor of music (Violin) and co-director of the IU String Academy. Her students have been featured in concerts in major venues throughout the United States and have presented tours throughout the world. Brenner is also director of the Fairview Violin Project, an initiative that researches the effects of early violin instruction for under served children. An active performer and clinician, Brenner is currently the president of the Indiana Chapter of ASTA.